The Falcon Jet landed at the JKIA at 1100 hrs on 2 February 1999. Off disembarked a mustachioed man claiming to be a Cypriot journalist, two aides, and a Greek handler. So began a story of intrigue, deceit, and a high-speed car chase on Uhuru Highway. The man disguised as a pen was Abdullah Ocalan, one of the founding members of the Kurdistan Workers Party (PKK). The PKK is a militant organization founded in Turkey in 1978 to fight for the rights of minority Kurds, and whose conflict with the repressive Turkish government has claimed over 40,000 lives. It is listed as a terrorist organization by Turkey, NATO, the US, and the EU. 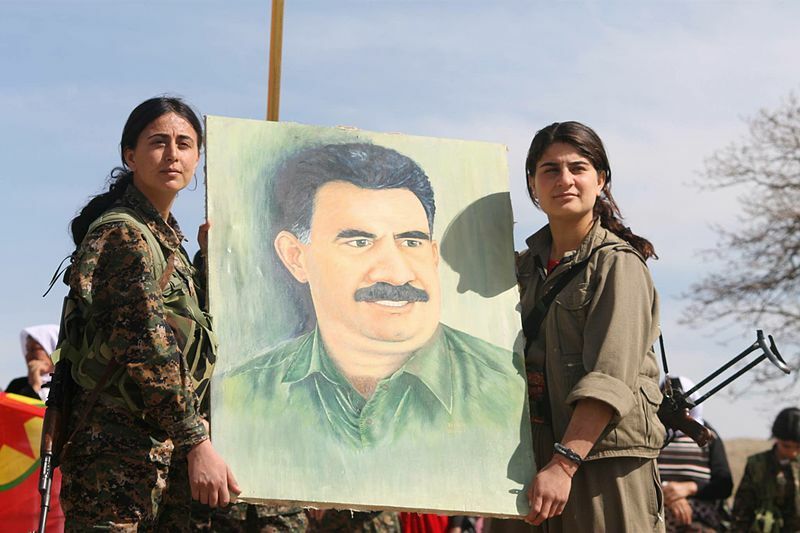 Hunted by Turkish and international forces, Ocalan first lived in luxury in Syria until Turkey threatened to invade if the Syrian president, Hafez Al-Assad did not extradite him. Ocalan escaped to Italy then Russia, and eventually landing in Greece, Turkey’s erstwhile enemy, on 29th January 1999. For Greece, as much as hosting Ocalan was a super way to piss off Turkey, it was a diplomatic nightmare. It would train the eyes of all Turkey’s allies on Athens. The EYP, Greece’s intelligence service, quickly organized to have Ocalan flown out to a transit country as they negotiated asylum in another country. That transit point was Kenya. Why the EYP chose Nairobi for such a dangerous mission, only months after a terrorist attack on the American Embassy, was never disclosed. Nairobi was teeming with CIA and Mossad agents, and was more dependent on these foreign intelligence forces than ever before. The rumors that Turkey’s most wanted man was in Kenya started flying around only a few hours after he arrived in Nairobi. The Foreign Ministry, then headed by Dr. Bonaya Godana, summoned Greece’s ambassador, George Coustoulas, to answer for the presence of a terrorist on Kenyan soil. Savvis Kalenteridis, Ocalan’s Greek handler, was also detained on his way to South Africa, presumably to negotiate for asylum. As the diplomatic debacle escalated, Greece sought the easy way out. The Greek Ambassador asked Ocalan to leave but he declined, instead submitting a written request for political asylum. His female aides threatened to immolate themselves as an act of protest. The EYP pressured Kalenteridis to throw Ocalan out and find him a hotel in Nairobi. Despite four different orders from his seniors in the EYP, Kalenteridis declined to do so. Frustrated and under political pressure, Kalenteridis’ bosses?dispatched a four-man unit, codenamed “theatrical group”, a “football team”, to do the dirty work, of “removing the grandmother”, Ocalan’s codename. The unit landed at the JKIA on St. Valentine’s Day, 1999. The communication of their arrival and mission was done on open lines, and in some instances, payphones, making it child’s play for the other intelligence services. Coustoulas was summoned again by the Ministry of Foreign Affairs on 15th February 1999. He was offered a swift departure for Ocalan to any country of Ocalan’s choice if the offer was accepted within a two-hour window. Greece, eager to save face, hastily agreed. Pulling the strings from the shadows and providing the Kenya government with intelligence were the CIA and the Mossad. 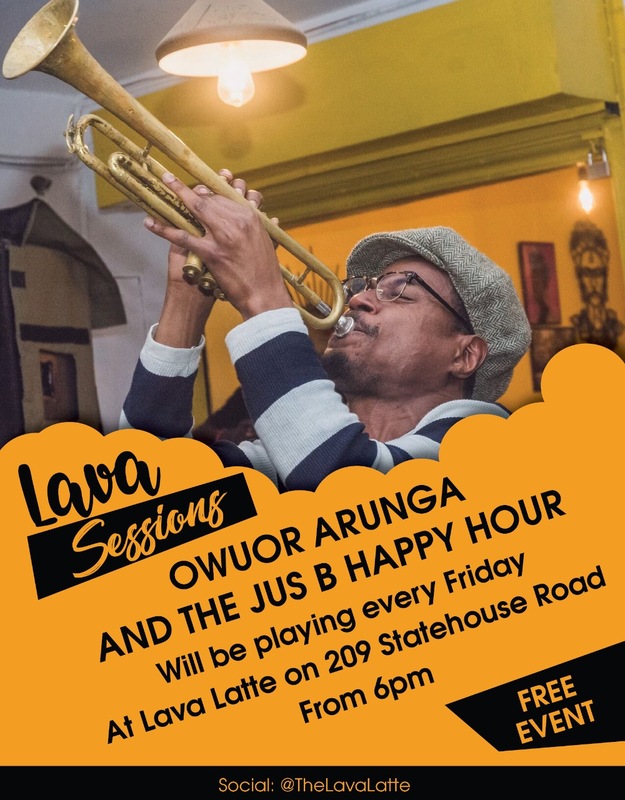 It is plausible that they organized the extradition with Turkish intelligence, and then only fed their Kenyan counterparts the same hazy details they gave the Greeks. How he got out of the airport is still a matter of contention. The PKK version of the story insists that he was forced out while the Greek version insists that he left on his own accord. The Kenyan Foreign Affairs Minister, Bonaya Godana, insisted at the time that the Greeks had driven Ocalan to the airport and handed him to the Turks. The Greeks, however, insist that Ocalan was driven out of the Greece Embassy in a government vehicle, accompanied by Kenyan personnel. It is the Greek version that is most dramatic. Ocalan was accompanied by Kenyan security personnel, his Greek friends and Kurdish aides in tow in a separate vehicle. Once the mini-convoy got on Uhuru Highway, the Kenyan car suddenly drove away, igniting a car-chase that ended shortly after the chase car lost sight of the lead car. Ocalan was driven to the airport, right onto the tarmac and bundled into a waiting plane where he was shackled, gagged and blindfolded before being flown to Turkey. As news of the arrest of the most prominent Kurd rebel reached his compatriots, all hell broke loose. 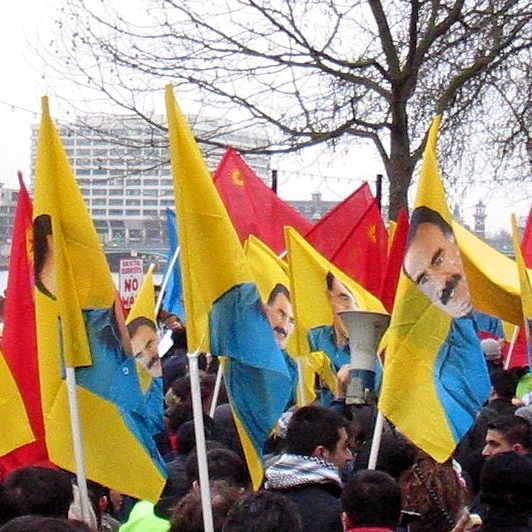 A pro-Ocalan protest in London in 2003. The arrest ignited a series of violent attacks on Kenyan, Israeli, Turkish and Greek Embassies in Europe. In a series of a coordinated attacks, the Kurdish protesters broke into embassies and consulates threatened to immolate themselves and their hostages. Then 14 men and two women broke into the Kenyan Embassy in Paris and held several Kenyan diplomats hostage for three hours. Another group lay siege on the Kenyan Embassy in Bonn, Germany. For several days and in some instances, weeks, Kurdish protesters made life in several Kenya’s embassies in Europe a living hell, although the Greek and Turkish embassies got by far more savagery. In Turkey, the government was not taking any chances with Ocalan. The prison on the island of Imrali in the Sea of Marmara off north-western Turkey was cleared to host him, with all other prisoners being transferred to other prisons. A contingent of 1,000 Turkish military officers was deployed to guard him, presumably from escape attempts mounted by his militant supporters during the trial. He was sentenced to death but his penalty?was commuted to life imprisonment after Turkey abolished capital punishment in 2002. 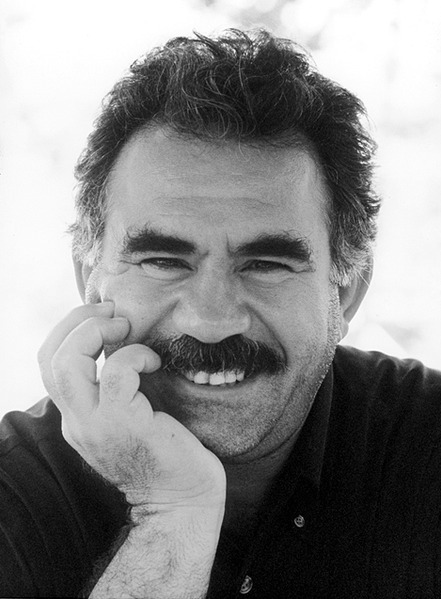 Ocalan was held in solitary confinement as the only prisoner on the island until 2009. A new prison was built to host him and a few other high security risks, although they only interact for ten hours a week. Turkey’s Kurdish question did not end with Ocalan’s capture and incarceration. In fact, it made it even harder since it made him a martyr and a central negotiating point for the Kurds. Abdullah Ocalan’s kidnapping and extradition ended several careers, chief among them being that of Major Savvas Kalenteridis. In Kenya, Moi sacked Frank Kwinga, the head?of immigration and Duncan Wachira, the police commissioner, and also demoted Simeon Nyachae. The dramatic story of Ocalan’s capture and extradition remains a blot on Kenya’s diplomatic history, a clear mishandling of a delicate international debacle in the capital city that placed Kenya’s diplomatic staff all over Europe in mortal danger.